Jovenel Moise was sworn in as the new President of Haiti yesteday at an inauguration ceremony in the grounds of the former national palace in Port-au-Prince. Coming from the north of the country, many Haitians are hopeful his tenure will bring improvements for areas long-neglected by Haitian authorities such as here in the northwest of the country where Jean Rabel is situated. As a businessman himself it is also hoped that he will be able to bring more investment and jobs to Haiti, one of the poorest countries in the world. But there are also many people for whom his tenure means little or nothing in a country already devastated by corruption and injustice. 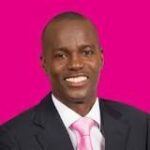 President Jovenel Moise is himself the subject of an investigation into alleged money laundering and obtaining special treatment when seeking loans while running his business. Like all those in public office the world over, Mr. Moise of course, has denied the allegations that were leaked during the presidential election campaign, saying all his business dealings have been carried out legally. This judicial investigation is ongoing with no resolution imminent while President Moise’s government is now looking at a 5-year term in office. His election campaign and inauguration here in Haiti caused little disturbance or commotion compared to that of President Donald Trump in their neighbouring US but after a full year of having a care-taker government in place it is time for Haiti to move on and if the new President, Jovenel Moise, makes even some small progress, his administration could become the one that signalled change for Haiti and hope for the future for its people.